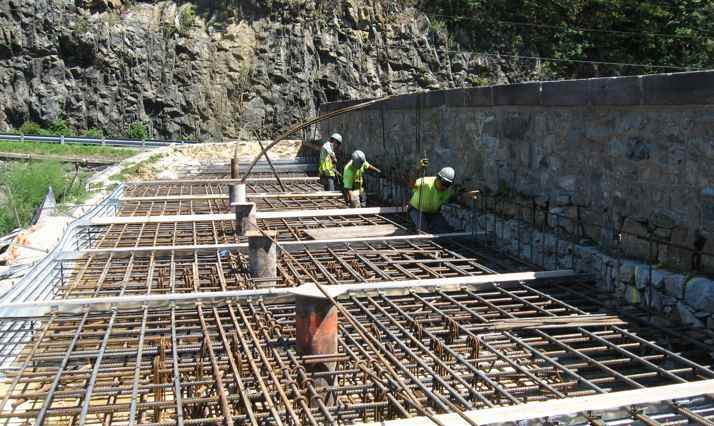 QEI Construction Group was hired by the County of Berks to make improvements to this 140-year-old dam located in Lower Alsace Township, PA.
Upgrades to the dam included drilling and grouting of the upstream rubble portion of the structure, installation of vertical and angled dowels in the parapet and masonry dam, construction of a reinforced concrete load distribution slab, drilling, installation and testing of post-tensioned rock anchors, and minor earthwork. 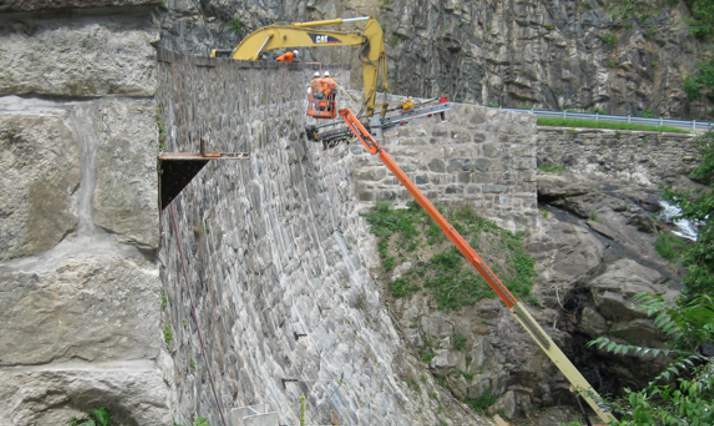 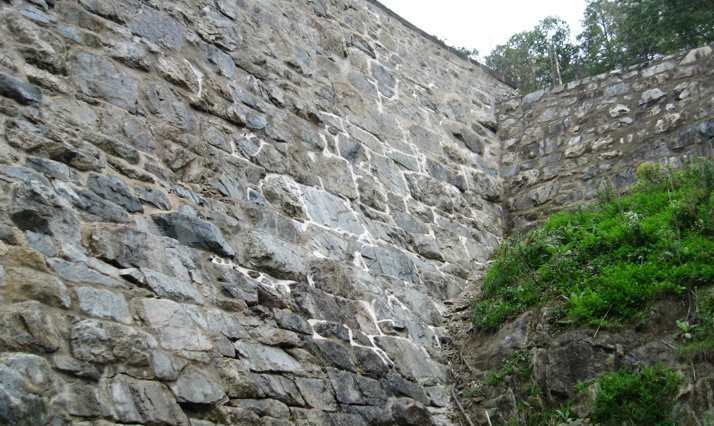 Additional work included erosion and sediment control, installation of bar anchors (not tensioned) from the downstream face of the dam, cleaning and pointing masonry, repairing guiderail, locating and inspecting the existing outlet tow, drain line and outlet line, as well as replacing the 30″ main outflow valve. 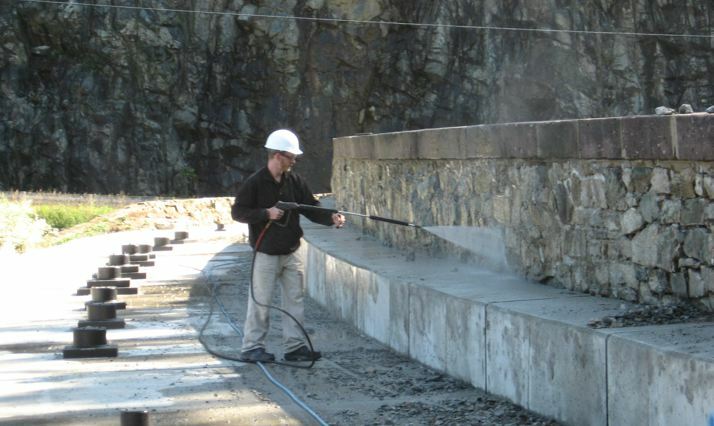 A unique feature of this project required an underwater dive team to locate and install a plug on an existing valve and pipe used for controlling the water level in the dam.